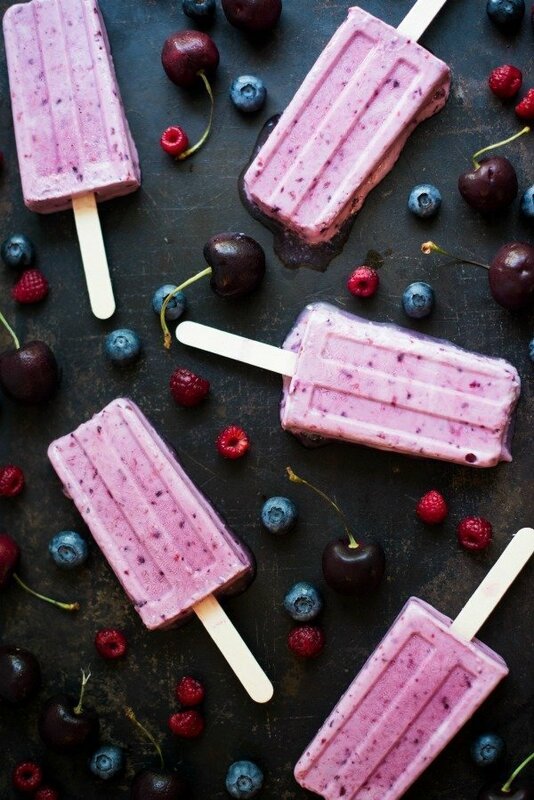 These fruity mixed berry popsicles are made with creamy Greek yogurt which is a good source of protein! This post is created with America’s Dairy Farm Families and Importers, in partnership with the Innovation Center for U.S. Dairy, however the views and opinions included are my own. While we still have about a month of summer vacation left here in Michigan, before we know it my boys will both be headed back to school! It’s a big year for our family as our oldest will be entering Kindergarten and our youngest is heading to preschool for the first time in his 4 years of life! 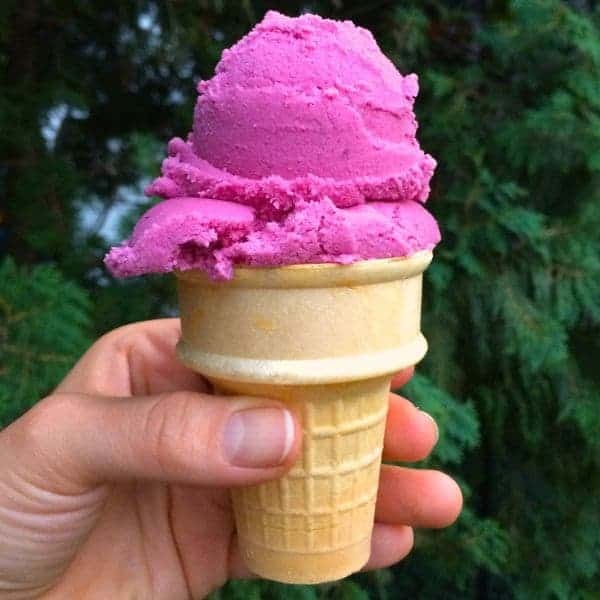 One thing I love about living in Michigan is the fact that we still have several months of warm temps to enjoy cool treats like this rich and creamy Greek Yogurt Berry Popsicles. 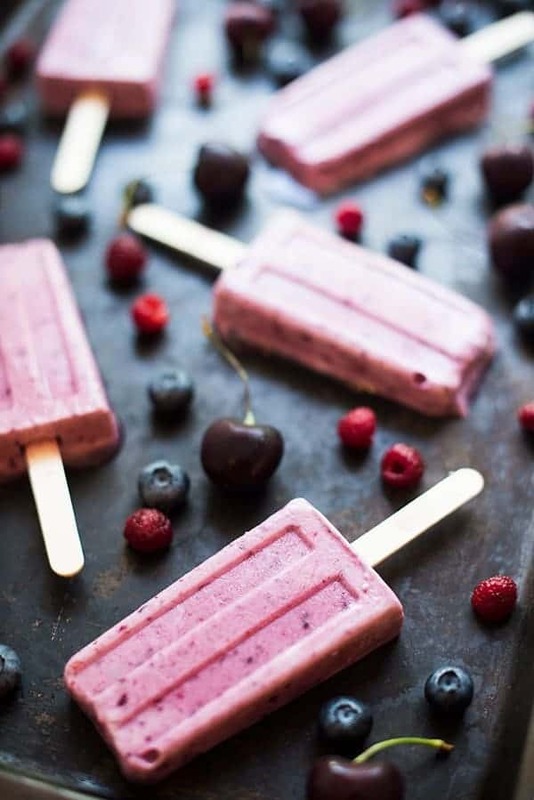 Made with frozen mixed berries, vanilla Greek yogurt and a pinch of cinnamon, these homemade smoothie popsicles couldn’t be easier to make at home. Right now my five year old is in that crazy learning mode where he has questions about everything we eat, where our food comes from and how it grows. (He is the reason we planted our herb garden this year!) While we were making these dairy-packed Greek yogurt popsicles I was able to share a few little fun facts with my boys. For example? I recently learned that dairy farms don’t let water go to waste and on average recycle water 3 to 5 times! Another fun fact? One gallon of milk is produced with 90% less land, 65% less water and 63% less carbon foot print than in 1944. My math and science loving soon-to-be Kindergartener loved hearing these little tidbits and it was fun getting him back in the school learning mode. 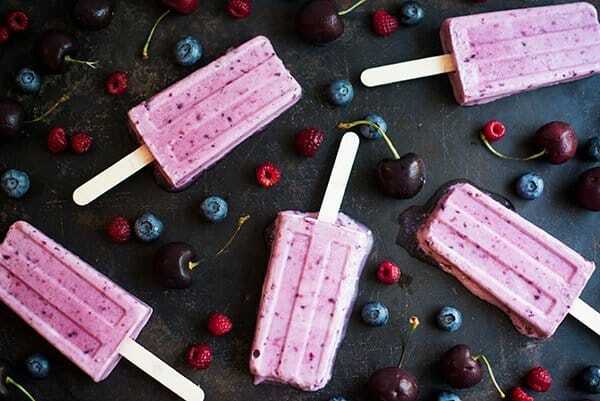 Regardless of whether you have little ones heading off to school soon or not, I urge you to make these five ingredient Greek Yogurt Berry Popsicles! 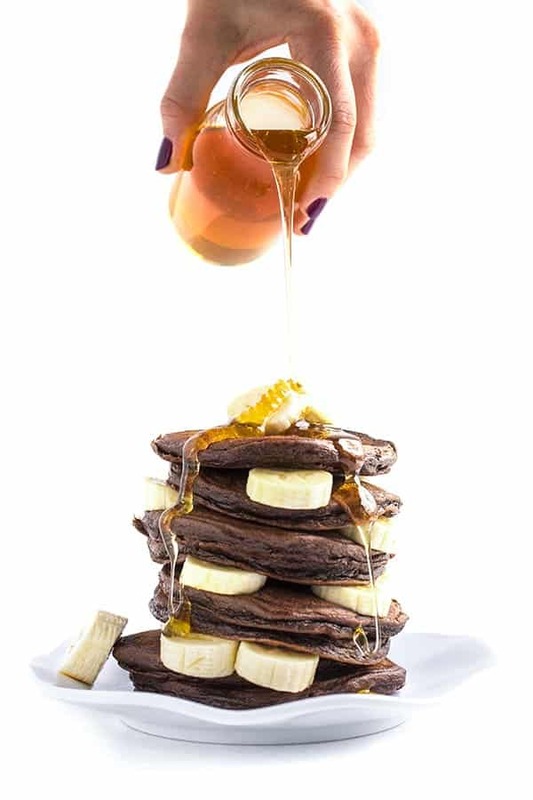 Versatile, delicious and nutritious. 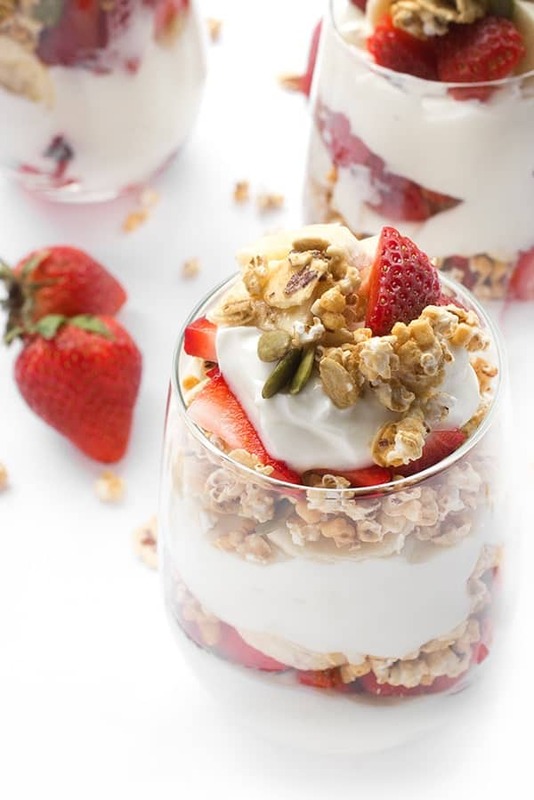 Feel free to get creative and try various fruits and yogurt flavors. When we don’t have berries on hand, I love using peaches or mangoes. The options are endless. 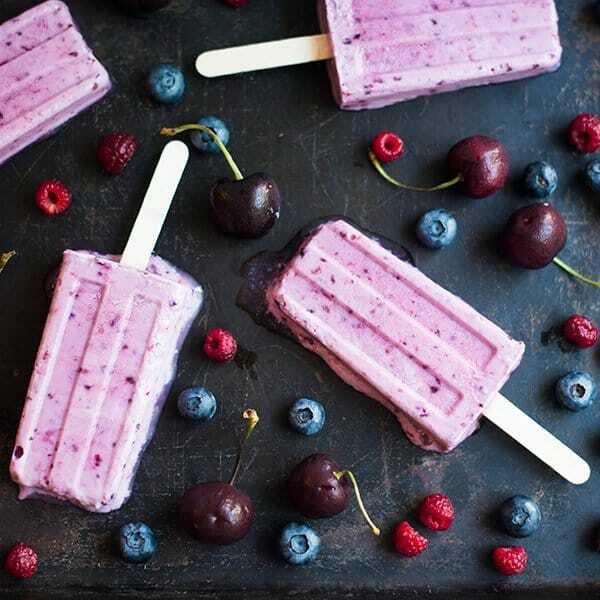 These fruity mixed berry popsicles are made with creamy Greek yogurt for an added boost of protein! Pour the mixture into popsicle molds, insert popsicles sticks, and freeze until solid. We used these popsicle molds. 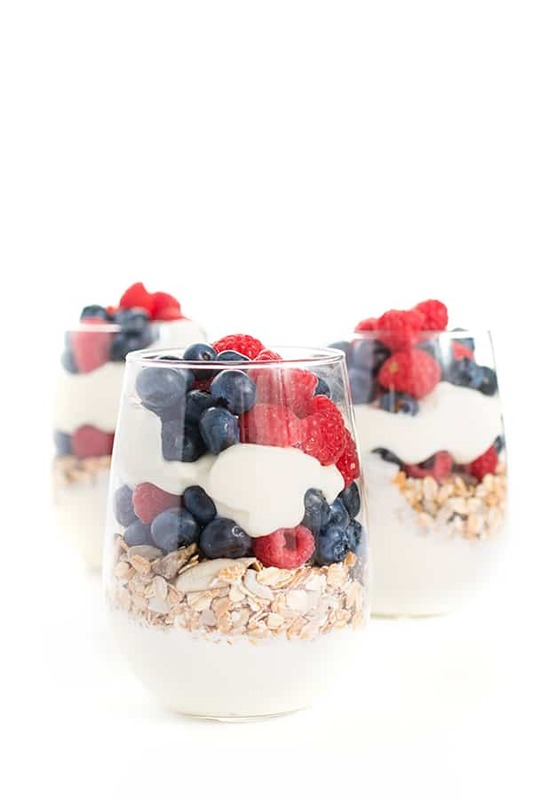 This is a sponsored conversation written by me, created with America’s Dairy Farm Families and Importers, in partnership with the Innovation Center for U.S. Dairy, however the views and opinions included are my own. These are totally perfect! And I love that bit of cinnamon in there! I bet these are amazing! Can’t wait to try them! 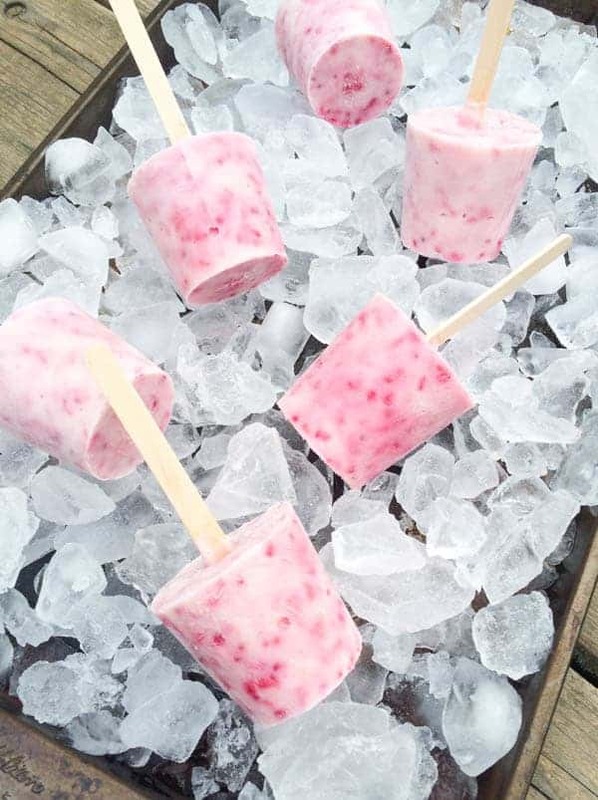 Popsicles with protein? SIGN ME UP FOR ALL OF THEM! LOVE the cinnamon in this! They’re almost too pretty to eat. Not really. I’m eating them ASAP! I tried this out today and have to run over here to tell you that it was PERFECT! !